We had reported yesterday that super-rich Russian club Anzhi Makhachkala were preparing a £15M bid for Newcastle striker Papiss Cisse. Papiss Cisse – could leave Newcastle this summer? And as we know, every player has their price at Newcastle, whoever they are, and Mike Ashley will only sell his top players like Cisse this summer, for silly money. We had suggested yesterday that £15M was not going to be enough, and had said that maybe twice that amount would encourage Ashley to sell. That would make a sizable profit for Newcastle, since we paid out £9M for Cisse to SC Freiburg 17 months ago, so at £30M that would be a £21M profit for Newcastle – assuming Freiburg had no sell-on clause, when they sold him to Newcastle in January of last year. That sounds like something Derek LLambias might say. So it seems that Newcastle would start talking at £25M, and that sounds a reasonable deal if Newcastle can strike that kind of deal – a £16M profit in just 17 months – almost a million a month since Papiss joined the Magpies and in that time he scored 26 goals for the Tyneside club, and wore the famous number 9 shirt.. But that would also mean Newcastle would need to bring in three strikers over the summer, since Papiss and the injury prone Shola Ameobi are the only two experienced strikers at the club at the moment, since Demba Ba left in January. It would also give Newcastle some ready cash to go after other strikers – like Andy Carroll at Liverpool – who seemingly will only leave Liverpool for Newcastle, his home town club, and is not keen on a move to West Ham. Next Post Where Will Newcastle Finish In Premier League Next Season? Will we going to sell strikers before we get replacement again and again? HAHAHA.Ashley You have to learn how to business any time now. Sell Cisse and Shola for £25mill? You’re laughing. Ashley owes us at least £30 mill from last summer so a £55mill transfer kitty, minus £10 for Bony, £15 Carroll, there’s half gone on a great partnership… add Long, Townsend, Sakho? Sorted. Provide Cisse with plenty of quality service, he scores goals. Don’t provide him with quality chances through team set up and tactics, he’ll score less goals. Play him on the wing and he’ll score even less. Now, the logic is there to achieve an impressive ending, but which did Pardew choose to do? Those of you who are saying “If possible get the money in and buy new players…..”. Who will we buy? Where is the proof that the money will actually be spent on good players? I’d expect several replacements to be bought, but I think they’d be fairly cheap foreign players like previous signings that can be sold on for many times their price. Seems a great plan, however it has a breaking point. When the club has lots of money and yet still won’t buy top class players then there is a problem- the money is being brought in with ulterior motives than improving the football team. There ould be a point where the choice would be between say a 15m player who could score 30 goals a season and a 4m player who could score 13. The management would be shunning the potentially better footballing choice for the potentially better profiteering choice. F**k Andy Judas Carroll!!!! FFS! Everyone, including Shearer, says goal scorers are hard to find. Here we have the most lethal, instinctive goal scorer we have ever had and we are talking like accountants again. Show me THREE replacements (we only have ONE CF now, really) and then maybe. Come on, don’t do it the wrong way round again. If they are serious about this, and I mean serious, because it could be absolute rubbish in all honesty. Then I think Ashley would take inbetween 20-22 if he has set out shop at 25 mill. Which would probably be about right. I have to say if it comes in then take it, BUT, they better know what they are doing and have plans, not like any other time where we have seen strikers be sold and no one coming in. Andy Caroll would be one coming in you would of thought. And then a top striker to play with him. And then a third striker to play as back up. All pure speculation of course.. But sounds about right if they really want Carrol in. Don’t you love silly season? That Ba fiasco where he refused to play out wide and Cisse was forced on to the wing effectively ruining his entire season, only for Ba to jump ship mid season anyway. Well whose fault is that? I’d be astonished if he wouldn’t consider a move. There is a ful page spread this morning in my local Paper this morning about Arnhem Vitesse. 80% from the training staff at Vitesse have either already left or will be leaving in the next few weeks. There will be a Major clear-out in Arnhem with regards to playing staff in the next two months? There are a number of Chelsea players who have playing there for the last few Years, and apparantly Chelsea have a substantial say in what precisisely happens in Arnhem in that respect? Van Aanholt and two others will be returning to London, and the three strikers will be sent packing, including Boney. What this means of course is that basically Chelsea have first refusal on any future transfer of our supposed target, “Wilfred Boney “! I had hoped that we were busy with Vitesse working on a prospective transfer of Boney to St James? Now i,m not so sure! Thoughts? Bony would be a great pickup for Chelsea and probably an upgrade from Ba. Hope we can still tempt him. It would seem that more and more of the Big Money Clubs are investing big Bucks in smaller and lesser clubs with the idea of stabling their youth players until their development is complete? Vitesse are noy free to make any decisions on footballing Policy without Chelsea giving them the okay ! It is reported that Chelsea have invested Millions there, with the result that : “Vitesse had a more than average good season” last year! Fred Rutten, who was their trainer apparantly did,nt realise when he went to Arnhem just how far the Chelsea influence on the club went? Vitesse owner is a good mate of Roman Abrahamavich, so you its pretty obvious that Vitesse ( read: Chelsea ? ). Rutten was busy building a team to win the Dutch League and was told that Boney would be sold whether he liked it or not ? This is the main reason why he left! Any future signings or interest in Vitesse,s players should be adressed first to Stanford Bridge? Hope Mr. Carr has a decent ST shortlist. I’d take £20M for Cisse in a flash. Yes he is a decent goalscorer – but he has nothing else to his game. He can’t hold the ball up, work the channels and rarely creates his own chances. None of the top sides have a player like that in their first team – that’s why Hernandez rarely gets a game at ManU. Away from home especially Cisse contributes very little when we are under pressure – defenders can’t knock the ball down the channels and expect Cisse to chase it down and hold it up. That was one of the big problems for us in the second half of last season. I know they don’t grow on trees but we need a Drogba type CF and a Shane Long type partner for him. Those type of players together give you loads of options up front and also create their own chances. £15M – 20M for Cisse imo is great business. “rarely creates his own chances”. You must be watching another team mate. He always creates his own chances! Search for a list of his goals, I can even name a couple for you. There’s criticism that arguably can be made (e.g. can he play with a partner, can he provide assists, etc. ), but not that! It makes me wonder just how many others from the Big Name Clubs have done exactly the same as Chelsea? Like you say mate, it makes scouting a player just more difficult than it already is? Clubs like Manure, Barca, Bayern Munchen, etc could in principle pump Millions into clubs like Gateshead, Bognar Regis or Blyth Spartens and then reap the talent after it has developed? Money, makes the world go around i suppose? Cyprus – by making his own goals I mean picking the ball up outside of the box and making a run or a dribble that results in a goal. I accept that he will make goals by making a run in the box but all goalscorers do that. The outstanding ones also create their own from outside of the box and that’s where Cisse falls short imo. We must give him some credit, saving us from relegation, for one. Also, chasing down defenders (while the MF just stood and watched in bewilderment), being desperately alone up front (with MFs 50 feet away as someone said), chasing scraps and wayward crosses, etc. My main criticism is that his instinct to shoot before asking any questions sometimes prevents him from providing an easy assist. That can surely be coached into him. Having said all this, I do realise that this team just has NOT gelled and perhaps plenty of ins and outs are needed. But the class acts (Cisse, HBA, Sissoko, maybe Marveaux, Krul etc.) must stay. If cisse is sold for ‘profit’ then I will be well and truly finished with this regime. 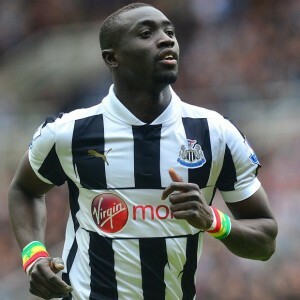 Northernirishtoon – you can’t compare Cisse to Shearer. Shearer did everything you want from a CF, led the line, ran the channels, held the ball up, closed defenders down, made goals and scored goals. Compared to Shearer, Cisse is a one trick pony. For me, Shearer’s best partner was Bellamy, those two together were a nightmare for defenders combining aggression, power, speed and goalscoring ability. Ba and Cisse were both good goalscorers but they couldn’t come close to being as effective as Shearer and Bellamy. You need forwards who are more than just out and out goalscorers in the Prem. IF the so called club insider really exists, then he/ she ought to be told to keep their mouth shut or adopt Sperz approach to such speculation and say ‘not for sale’. We should be buying the players we need to replace anyone we’re contemplating selling before their prices are inflated by clubs that know we’ve cash to spend. Is it true that our pre season tour (south Africa?) has collapsed? FFS! That’s 2 collapsed pre seasons on a row whilst other clubs have already had little tournaments etc! Starting to see why we miss out on signings dekka couldn’t organise a p1ss up in a brewery! I’ll stick with that statement 🙂 although he can be frustrating at times! But, even people like Shearer could be frustrating, believe it or not, and he had his misfiring spells too. In fact I think Bells saved his reputation and career. Aren’t Man U in bed with Standard Liege? Cyprus, small, wily forward like Adam Campbell? Speaking of Campbell, I wonder what sort of input Beardsley’s had into his development and game in general. It would,nt surprise me at all if there are finacial links between ManU and Standard Liege? On another post on this blog there is talk about us investing in this lad from derby Wil Hughs, a wonder kid they are calling him? However, having just had a major relegation scare, one could argue that it would be more prudent to invest in better players for the First Team squad, maybe Wil Hughs is a major talent? Roman Amfitino was signed, as a youngster and was spoken about in glowing terms too? A major talent whose prospects of first team footy have not been realised! I can understand the Logic in investing in future talents but have serious doubts if it is worth investing 10Mil in one who i have never heard of and is unproven. However, if we wish to go the same way as the likes of Chelsea and ManU and start throwing money into a satelite club, the idea is not beyond the realms of possibility? We need to make sure that we are not embroiled in a relegation battle every year first though but! It is possible to do but it would mean that we would have to have a top six finnish every year, and not just occassionally. Plus to achieve a top six finnish every year we have the wrong trainer me-thinks, or do we? For sure there are risks signing promising youngsters. Connor Wickham is a good example of one that is struggling to make it at Premier level. A few do – plenty don’t. Amalfitano was free – or very cheap – not a big risk. £10 million, or anything close, for Will Hughes is waaay too much.